These beautiful 3D stickers from Paperhouse Productions are acid and lignin free, they have colourful layers and dimension. 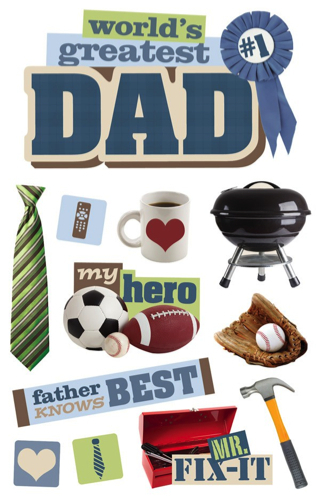 Lots of fun and a must have for Dad themed scrapbook pages. Size approx. 7" x 5".